ProForm Power 995i Treadmill Review By Industry Experts! The ProForm Power 995 i Treadmill is ON SALE! When priced at $999 with shipping, the ProForm SMART Power 995i treadmill may be the best value on their site. According to the company this is one of their hottest selling treadmills. A couple of the features that make it stand out for the price are the extra long deck and the large 3.0 HP motor. In comparison shopping, you will find this treadmill will out spec just about any comparably priced model. It also received an “Excellent” rating for ergonomics and exercise range from a leading consumer magazine. MID-WEEK SALE ENDS THURSDAY: The ProForm SMART Power 995 is currently priced at $1099 and comes with Free Shipping and a 30-Day Money Back Guarantee. This machine comes with 12-months of FREE iFit Live. 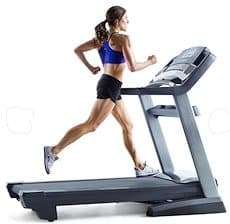 20″x 60″ Treadbelt — Treadmills below $1,500 usually have treadbelts around 54″ in length. They are adequate for walkers and joggers of average height. At a length of 60″, you have a machine that can better accommodate runners, individuals with long strides, and taller users. iFit Live — iFit Live is one of the main attractions for ProForm products. It is a fitness tracking system that allows you to run on virtual courses all over the globe, customize your own fitness program, receive automatic workout downloads, and even get virtual tips from Jillian Michaels. GoogleMaps can sync with your machine to simulate the real life terrain of your chosen course. The treadmill will adjust incline levels to help provide an authentic experience. 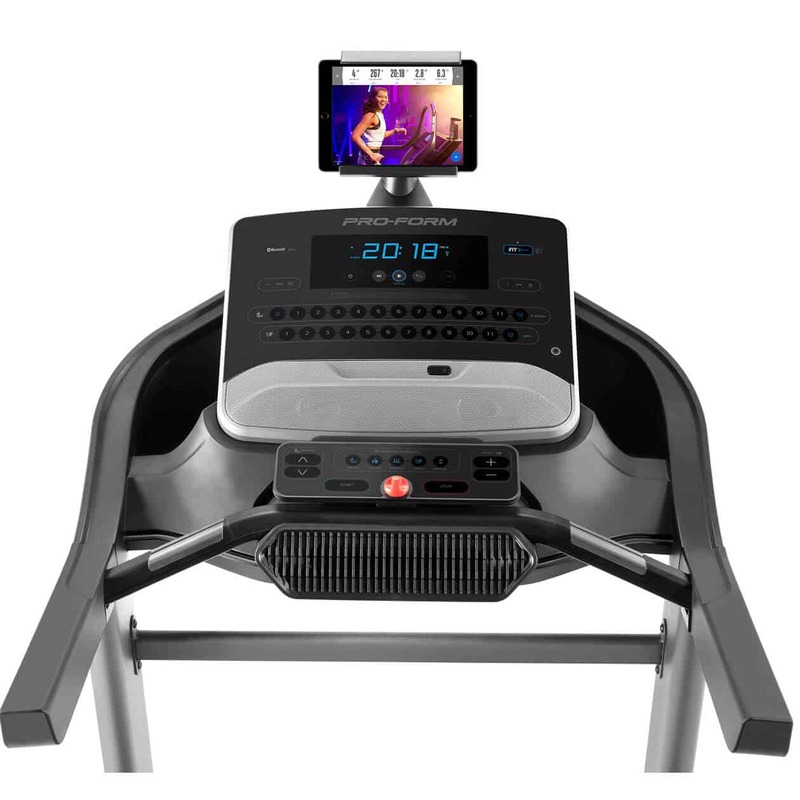 iFit Live on a ProForm SMART Power 995i treadmill – Use a smart device to view your running route. 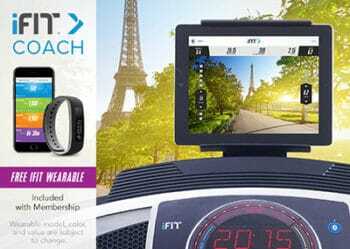 The only problem we see with iFit Live is the price. 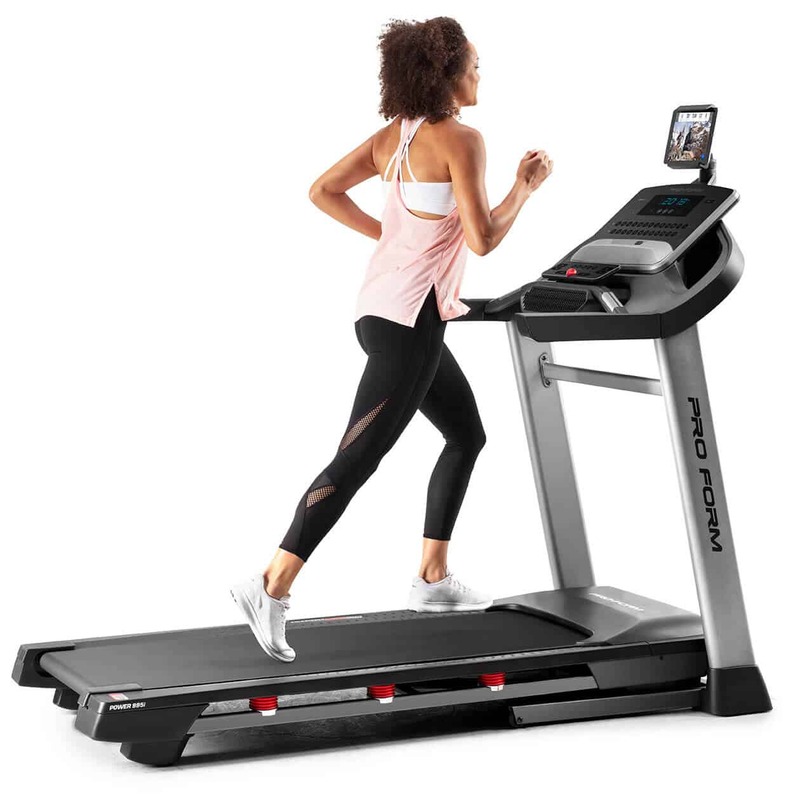 Most ProForm and NordicTrack machines are low priced and provide high specs. Still, the iFit Live requires an additional subscription cost. Some competition machines (with a higher starting cost we might add) have free fitness tracking apps associated with their treadmills. So you can figure that the price evens out in the end. Or, if you don’t plan to use the iFit Live, then you can enjoy a great machine at a lower cost than you’d otherwise expect. 3.0 Continuous Duty HP Motor — This motor will be able to accommodate walkers and joggers. It comes with a lifetime warranty. Speakers with iPod/MP3 Input — These speakers are not going to match your home entertainment system, but they do a decent job. You will find that ProForm has better quality speakers than most other fitness equipment manufacturers. 30 Workout Programs — The ProForm Power 995i has a generous selection of workout programs. They include speed, endurance, weight loss, and calorie burn workouts. It is a good idea to change your workouts regularly to enhance results and to keep yourself motivated. Warranty — They upgraded the warranty with 3-years parts coverage. This machine also comes with a lifetime warranty on the motor and frame, and 1-year labor. ProForm Pro 2000 – Spend $300 for many upgraded features. Read our full review here. If you want to save around $200, you could also check out the ProForm Performance 600i, but you’ll be getting a smaller motor, less programming, less incline, smaller rollers and a lower warranty. You’re better off with the ProForm SMART Power 995i! If you’re able to spend MORE money, then we’d recommend the ProForm Pro 2000 for around $300 more. You will be getting a larger 3.5 CHP motor, wider 22″ running belt, 7″ backlit LCD screen, a decline function, a stronger warranty, AND a wirless chest strap. It’s another great machine if you can afford the cost. For $300 more, you could also get the SMART Power 995i’s big brother, the ProForm SMART Power 1295i. This machine comes with a larger 3.5 CHP motor, 34 programs, 7″ Smart HD touchscreen, and a stronger 5 yr parts / 2 yr labor warranty. This machine is similar to the Pro 2000 but does not have the decline function and 22″ wide running belt. Still, the Smart HD touchscreen make up for those two features. 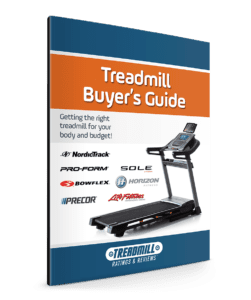 Check out a comparison chart with all of the ProForm treadmill models here.